We are seeing an example of such “anarcho-tyranny” today in the Southwest. As we reported yesterday, the United Constitutional Patriots are a citizen’s militia dedicated to aiding the over-loaded U.S. Border Patrol in capturing illegals sneaking across our border from Mexico. Although most UCP members are former members of the military or law enforcement, such citizen involvement cannot be countenanced by left-wing elected officials and pro-illegal partisan organizations such as the ACLU. Apparently in response to complaints voiced by New Mexico Attorney General Hector Balderas and Governor Michelle Lujan Grisham, and seconded by Peter Simonson, executive director for the ACLU of New Mexico, on Saturday the FBI arrested UCP national directory Larry Hopkins. Officially charged with being a convicted felon in possession of firearms and ammunition, Hopkins and his group had been camping near the border at Sunland Park, New Mexico and, as reported yesterday, had released a video showing their capture of 300 illegals earlier in the week. This video and the resulting news attention it attracted aroused Balderas and Lujan Grisham to issue their complaints. The UCP denies all of these allegations, insisting that they never feign official status and that they have a history of working alongside Border Patrol agents. One member insisted, “There’s no question about whether or not we work with Border Patrol. That’s all documented, and not just once. It’s documented hundreds and hundreds of times” in posted videos. The arrest of Hopkins comes at a time when the UCP had just had their accounts at PayPal and GoFundMe frozen, as the high-tech overlords predictably jumped into the fray. Thus, illegal border crossers are released into the U.S., while citizens defending their country’s border are arrested and de-platformed. For more, see Breitbart News. With the Border Patrol slammed with unprecedented numbers of migrant families crossing into the U.S., citizen militia groups have stepped up to defend the border. Yet the border crossers still come. 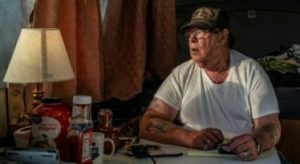 In response, groups like the United Constitutional Patriots (UCP) have promised to remain on the border, assisting in detaining illegals, until the wall is built or Congress modifies the laws governing illegal crossing. The UCP has posted live video streams of its operations, including an incident earlier this week where UCP members, most of whom are U.S. military veterans, detained 300 illegals and turned them over to the Border Patrol for processing. This has predictably ignited the ire of leftist lawyers and state officials who decry the presence of “racist” patriots defending their country. In response, UCP spokesman Jim Benvie defended the legality of the group’s actions and compared them to a citizen’s arrest. “We’re just here to support the Border Patrol and show the public the reality of the border,” he said. For more, see The Telegraph. “You probably recognize the first quote, tweeted out . . . by President Trump. You may even recognize the second quite, made by Democratic presidential candidate Sen. Bernie Sanders (I-VT) in response to a question to a question at a campaign event on the same day in Oskaloosa, Iowa (and which seems to prove that no party has a monopoly on xenophobia). “But which politician uttered the third? Sure this warning . . . must be from someone trying to appeal to the current wave of anti-immigrant hysteria sweeping our country, right? “Wrong. The author of the third quote is Sen. Pat McCarran. He was speaking not this week, but in March of 1953, almost exactly 66 years ago. Fact Check of Article: A common tactic of immigration enthusiasts is to belittle concerns about mass immigration with name calling. Another one is to cite predictions of problems that mass immigration would cause and claim that they did not come to pass. This article has examples of both tactics. The quote from Bernie Sanders expresses a perfectly reasonable concern. The United States does not have the capacity to lift most of the world’s poor people, or even a significant number of them, out of poverty. To illustrate, world population now grows at a rate of 80 million a year, with most of this increase in poor countries. If we invite them to come by opening our borders, we would be swamped in short order. Rather than address this reality of limits, the writer dismisses it with the smear word “xenophobia” (hatred of foreigners). But labeling reality with a bad name doesn’t make it any less real. This writer and others like him often cite the predictions of national decline before passage of the 1924 immigration restriction act. Critics of immigration had pointed to a failure of assimilation and poverty among native and foreign-born workers. They warned of worse to comes. Immigration advocates proclaimed that these prophesies did not come to pass—which proves that concern about immigration is misguided at best and illegitimate at worst. Actually, what happened proved the exact opposite of what these advocates claim. It is precisely because we limited immigration in 1924 that the dire predictions of didn’t happen. Less immigration promoted assimilation, wages rose, and immigrants and their descendants began to enter the middle class. Immigration advocates maintain that mass immigration is essential for economic prosperity and national greatness, but the forty-or-so year span of limited immigration between 1924 and the late sixties (when mass immigration took off again) was an era of outstanding national progress. It was an era of national unity, national pride, growing prosperity, and technological development. That era saw America become the leading economic power of the world, the arsenal of democracy which greatly contributed to the allied victory in World War II. Following the war, America developed a vibrant middle-class economy with relatively easy upward-mobility for all who were ambitious and hard-working. Technological development surged, highlighted by America’s manned mission to the moon in 1969. Was Sen. McCarran’s warning of what a resumption of mass immigration would bring really so far off the mark? Today, President Trump’s slogan “Make American Great Again” resonates with a very large number of Americans. Its point is that we are no longer great, or at least less great then we once were. This quite true, and mass immigration is at least part of the reason. Since 1970, the ideologies of multiculturalism and diversity have greatly weakened our sense of national identity and purpose. These ideologies and mass immigration feed on one another. Immigration is making us more multicultural and diverse, which these ideologists say is good. Therefore, they claim, we need mass immigration. Unlike previous waves of immigration, the current one comes from countries in Latin America with significantly non-Western cultures and from Asian countries with no Western culture at all. This big difference gives credence to Sen. McCarran’s concern that America’s links to Western civilization could be threatened. These links sustain our country’s deepest convictions—government by the rule of law and commitment to personal liberties. Immigration supporters will reply, no doubt, that the new immigrants can still assimilate, just as past immigrants do. But the cults of multiculturalism and diversity are making it impossible for them to know what the standards of assimilation are. Increasingly these ideologies proclaim that everything about traditional America is evil and tainted—and that newcomers should keep their cultures. No wonder we are no longer as united, confident—and great—as we were prior to the late sixties. But doesn’t immigration always increase prosperity, as its proponents maintain? Well, if that’s the case, why has the American middle class significantly shrunk since 1970? And why have wage levels since 1970 remained largely stagnant. Increasingly our country is coming to resemble the Third World home countries of most of our immigrants, with a relatively small number of well-heeled people at the top and lots of not so well-off people at the bottom. It is true that we’ve heard the warnings about mass immigration in the past. It’s a great pity that we didn’t pay them more heed. 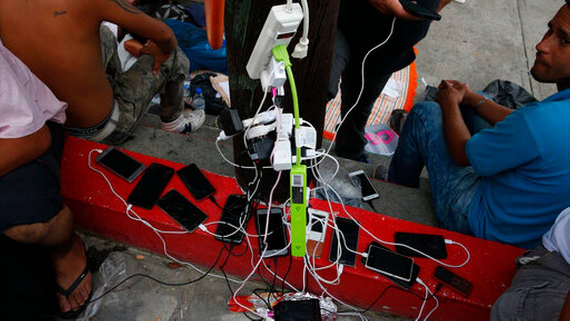 An article in today’s Miami Herald describes how would-be migrants in Central America are using social media applications such as Facebook and WhatsApp to organize caravans to the U.S. Whereas such potential migrants once had to make costly phone calls to friends and relatives already in the United States to plan the safest and most efficient routes and means to get to America, they now rely on social media chats. One such asylee wannabe is Élmer Alberto Cardona, a 27-year-old shopkeeper from Honduras currently en route by caravan to the U.S. Cardona and his wife had originally left last October in another caravan and made it to Tijuana. From there, they crossed the border and gave themselves up to the U.S. Border Patrol. Things did not go as planned. Separated from his wife, Cardona was deported to Honduras. Back in San Pedro Sula for only a few days, Cardona saw a Facebook announcement about the formation of a new caravan, leaving April 10. He “didn’t think twice,” and signed up, this time with his three young children but without his wife, still in the U.S.
Migrants such as Cardona post questions on the social media platforms (“Can you find someone to take you to the other side?”), concerns (“Remember that in Mexico there are a lot of kidnappings”), helpful hints (“To take a child you just need a passport and permission if the mother isn’t going”), and warnings, such as roadblock locations. Some caravanners, all of whom seemed armed with the ubiquitous smart phone, chart their progress from the “Northern Triangle” and through Mexico, sharing photographs and stories along the way. And for those still left behind, there are always announcements of new caravans leaving soon. “Another is leaving April 30, Salvadoran friends,” reads one announcement. For more, see the Miami Herald. Pollster Scott Rasmussen explains on the Real Clear Politics website how President Trump keeps winning on the immigration front in his war against the Democrats (and some others). He reports that while Trump’s proposal to release illegals in sanctuary cities garners only 46% nationwide, it is nevertheless a winner for his 2020 re-election chances because it “fires up his base supporters,” 75% of whom support it. As an example, Rasmussen cites the “Cher” incident we reported on yesterday. Hollywood personality and amateur policymaker Cher fell into the Trump trap recently when she spontaneously–and truthfully–complained that Los Angeles could not afford to take on more illegals. This response, as was roundly pointed out, goes against prevailing leftist dogma that no amount of illegal immigration is too much. Americans oppose illegal immigration. Trump hears them. His opponents hear only their rage against him. For more, see Real Clear Politics. Illegals to Sanctuaries? NIMBY, Says de Blasio! His threat is having a range of effects on the left. Out in Los Angeles, where every celebrity is a policy expert, Cher bristled Twitterly at the suggestion:”I Understand Helping struggling Immigrants,but MY CITY (Los Angeles) ISNT TAKING CARE OF ITS OWN.” True enough, but with 60,000+ already homeless, perhaps the city fathers and mothers might have thought of that before going the sanctuary route in the first place. These responses seem out of character for such usually immigrant-happy folks, whom one might have thought more welcoming and less hypocritical. “As the home of Frederick Douglass and Susan B. Anthony, we view our diversity as one of our greatest strengths, and believe immigrants have much to contribute to our community. If the federal government moves forward with its proposal to send immigrants seeking asylum to Sanctuary Cities, we will welcome them.” Rochester Mayor Lovely Warren. Falling boldly in line were the left-wing mayors of other cities, such as Los Angeles; Cambridge, MA; Oakland; Burlington, VT; Portland, OR; Seattle; and Hartford, CT.
San Francisco Mayor London Breed, for her part, issued a tweet vaguely pledging support for “all of our residents,” but expressing skepticism that Trump was serious. Perhaps one half of the undocumented aliens in this country (45% according to a Pew Research Center estimate), maybe more, are here not because they sneaked across the border. They simply came legally, usually by air and on short-term travel visas, and stayed. Homeland Security counted 701,900 such overstays in 2017 alone. President Trump noted the problem in his 2016 campaign and promised a crackdown on the illegal practice if elected. Now, he may be ready to try to fulfill that promise. Various news outlets beginning with the Wall Street Journal are reporting that Trump may restrict travel from countries whose citizens are most prone to overstay. Some of the most flagrant violators are from countries in Africa, including Angola (10.06 %), Burkina Faso (14.51 %), Burundi (13.09 %), Chad (24.39 %), Djibouti (42.30 %), Eritrea (26.54 %), the Gambia (12.36 %), Liberia (20.74 %), Sierra Leone (12.66 %), South Sudan (14.01 %), and Sudan (13.70 %). Egregious offenders outside of Africa include Bhutan (14.21 %), Laos (11.28 %), and the Solomon Islands (30.12 %). The problem of visa overstays is not new. Back in 2004, Congress called for the development of a biometric system to track arrivals and departures from the U.S., though no administration has yet to implement such a system. No date for the official declaration of a crackdown–if one occurs–has been set, though POLITICO quotes a Homeland Security official as saying that a proclamation could be issued as early as this week.